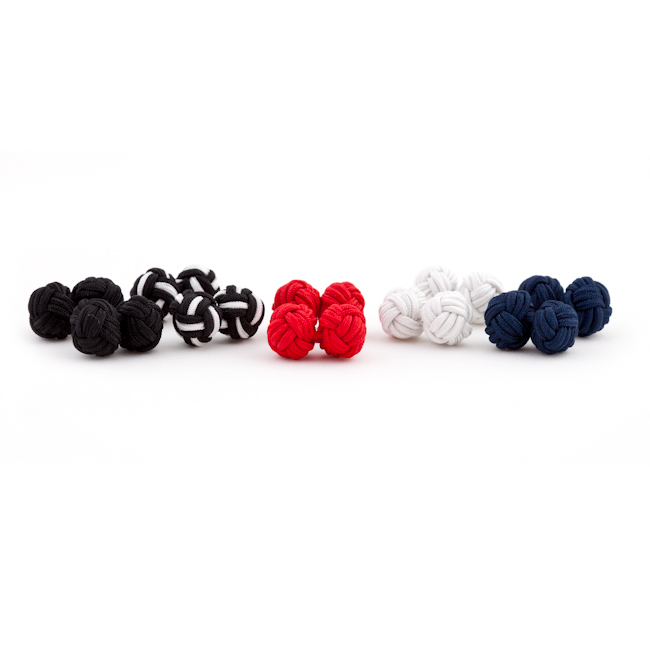 These lightweight, Silk Knot cufflinks are as classy as they are comfy. Made from soft, imported silk the links in this five-piece set are easy, versatile, and affordable. Choose the color that best complements your outfit, from black, white, red, navy, or black-and-white to add polish and style. This set comes in an acrylic case as an added bonus, perfect for storage, travel, or suitable as a stocking stuffer for the holidays.